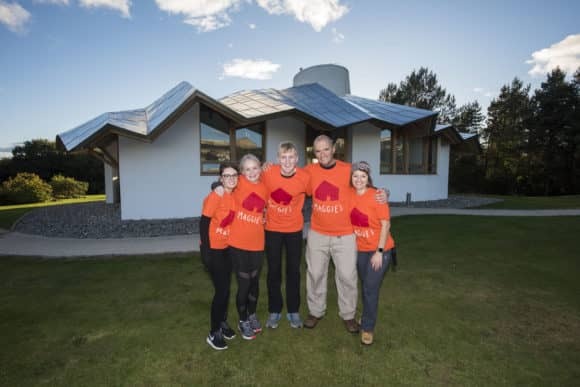 Combined with a host of other activities and events held so far this year, the firm has now raised over £13,000 for their charity of the year, Maggie’s Centres, with more than £750 raised in relation to the walk alone. Staff from EQ’s four offices in Cupar, Dundee, Forfar and Glenrothes have also held bake sales, race nights and pub quizzes, and taken part in sky dives and a number of gruelling fitness challenges. The walk, completed in just one weekend, was spearheaded by Scott Kennedy, Manager of EQ’s Amber Accounting department in Forfar. The staff who took part in the ‘Maggie’s to Maggie’s Walk’ were Scott Kennedy, Ruth Phillips, Chelsea Anton, Josh Lumgair, Denisa Pirvulescu and Debbie Millar from the Forfar office, Kelly McHardy and Callum Edwards from the Dundee office and Liz Goldie, Pam Winton and Mark Gallacher from the Cupar office. EQ’s next Maggie’s fundraiser will see staff, clients, colleagues and friends take part in a slightly more glamorous event by attending the EQ’s first Charity Ball at Dundee’s Apex City Quay Hotel and Spa on Saturday 10 November 2018.